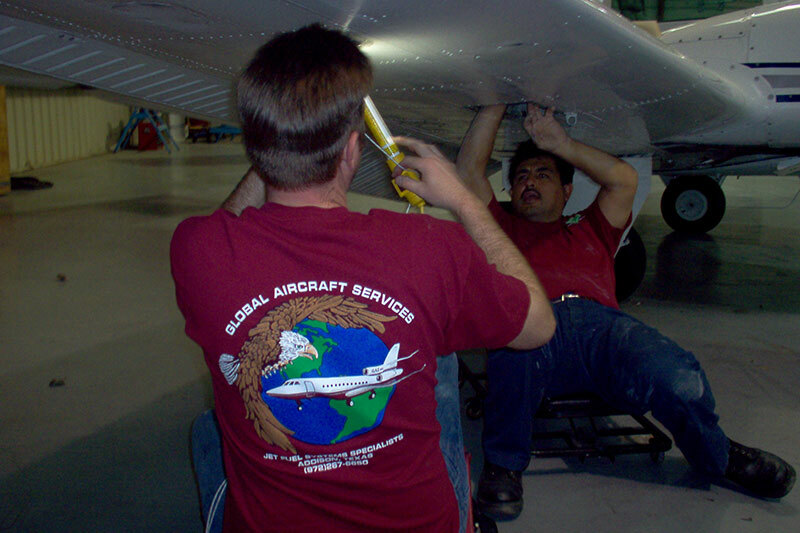 At Global Aircraft Services we’re proud to provide our customers with professional aircraft fuel bladder inspection/replacement that minimizes downtime. 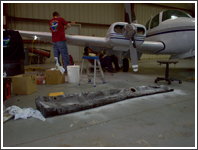 The aircraft fuel bladder is a flexible bag or rigid unit, contoured to the shape of a particular fuselage or wing cavity, which is designed to retain fuel. Many high-performance light aircraft and some smaller turboprops use bladder tanks. Damage to the bladder tank can cause fuel to leak, eventually causing major problems to the aircraft. Routine inspection of fuel tanks can reveal the fuel leak through the bladder, and depending on the extent of the damage, the bladder can be inspected by our technicians and sent to a bladder inspection station for further evaluation and re-certification. 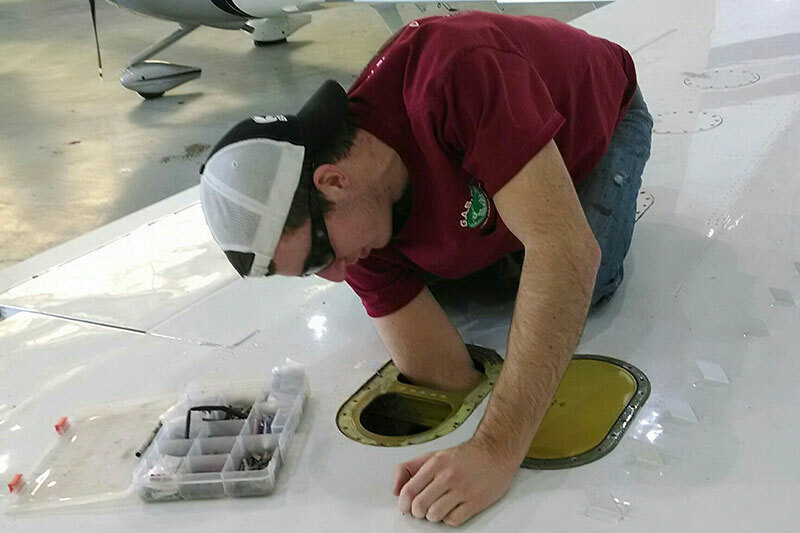 With a team of highly-trained experts and state-of-the-art techniques and equipment, we are the go-to choice for aircraft fuel bladder inspection/replacement. Our goal is to conduct inspections, maintenance services and repairs in a cost-effective manner that minimizes downtime. 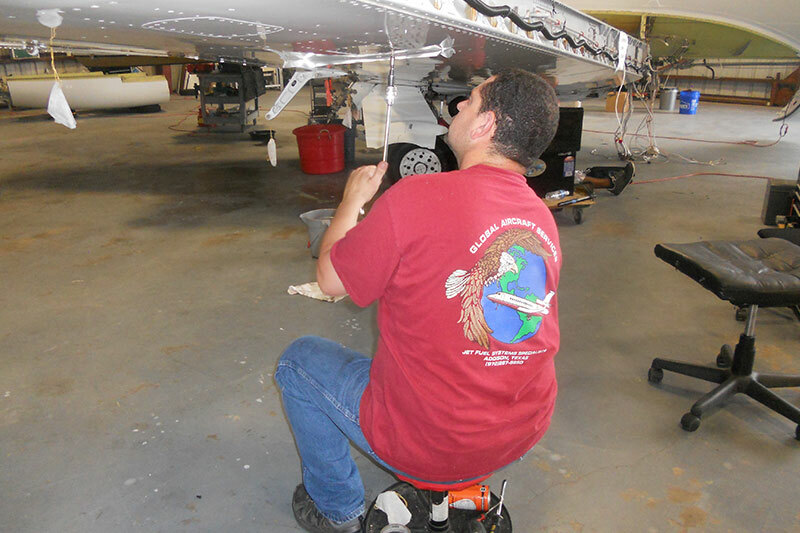 When it comes to fuel tank repair services, you should trust only the best and most professional mechanics to service your aircraft fuel systems. 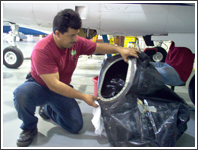 Contact Global Aircraft Services today and learn more about aircraft fuel bladder inspection and replacement. We look forward to hearing from you!